Two young journalists from Pakistan completed their assignments in Anchorage last week. 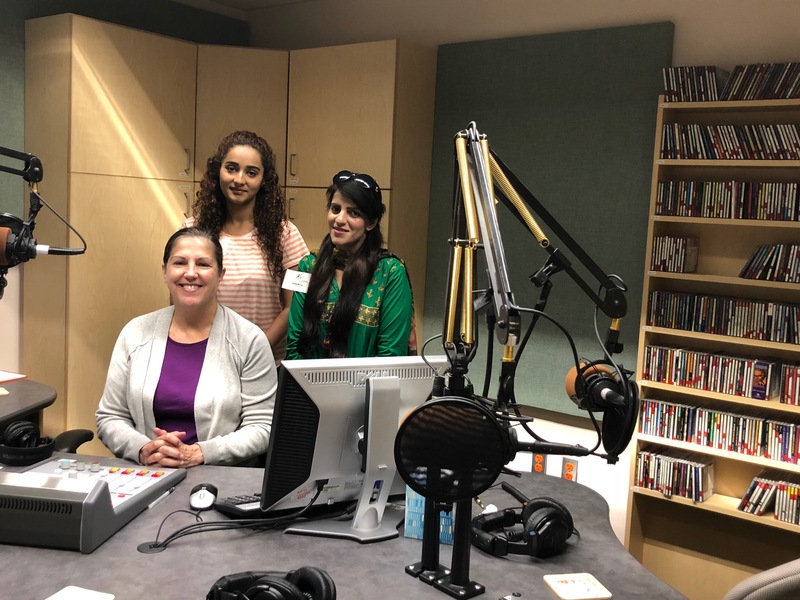 Tarhub Asghar and Shaista Mairaj spent three weeks at an Anchorage Fox News affiliate as part of an international journalism exchange through the U.S. State and Education Departments. Both reporters live and work in Lahore-the capital of Penjab. They spoke with Alaska Public Media’s Lori Townsend and said, when they found out they were getting assigned to Alaska, they packed coats, hats and gloves. Tarhub says she couldn’t believe they were being sent here. TARHUB: “Why are you sending me to Alaska? It’s so far away.” And they were like, “Don’t worry. People spend like thousands of dollars to go there, and you’re going. We’re sending you. You’re such a lucky person. You have no idea.” Now whenever I think about that statement and the time I have spent here, I feel so lucky. I feel so happy that a lot of people don’t get the chance to come here in Alaska. It’s such a beautiful place with the beautiful people. With beautiful work as well, because of course, we are the ambassadors and we want to tell the people, “Okay. We are going happy. So that means American people are good hosts, and they’re rich with culture and stuff.” So I’m happy with my experience and my attachment as well. TOWNSEND: How about you Shaista? How has it been for you to be here? MAIRAJ: When I come to know that my posting was in Alaska, I was very scared. Alaska has snow up on the glaciers. When Alaska comes in my mind, the glaciers are also in my mind. I discussed it with my controller, I said, “It’s very horrible. How could I survive there? How could I go there?” He just gave me a lecture. “Please stop scaring. This is not awful. People live there, OK.” But when I come here in Alaska, you can imagine, when I watch the city as itself, it’s beautiful. Not only beautiful. It is quite similar to my own northern areas. TOWNSEND: Tell me a little bit about some of the stories that you got to work on while you were here. TARHUB: Basically I’m a political correspondent back in Pakistan, and I did the same stuff here. The work I have done, I have talked to the governor, I have talked to senators, I have talked to representatives. I have worked on anything, not only for here. For my own station as well. There’s a story like vote by mail, and that was new for me. That is basically not practiced in our country, so I actually made a package for Alaska, Fox Alaska, and also for my TV station. But, one thing that disturbs me is because the people I met here were very generous, very nice, and they’re very nice to my face, but the problem is my colleague who I was working with, Maria, she told me she has lost 20-30 followers because of, “Why is this Muslim girl is on television?” People commenting with angry faces on our packages and stuff. That was a bit disturbing for me. Otherwise, I enjoyed my work. I loved how the public officer is easily accessible to a general public. It’s not the same in Pakistan because we need to get through a lot of departments and we need to get through hassle before talking to any public officer.